Clinical supervision is integral to graduate student training, postdoctoral licensure preparation and psychologists’ development of new competencies. Supervision may be mandated by licensing boards or employers to remediate psychologists’ practices following ethical violations. In these contexts, the impact of supervision on supervisees and their clients – for better or worse – can be momentous. Supervisees’ experiences with and observations of their supervisors likely contribute more to learning the fundamental ethical principles they internalize than anything read or explained (Tarvydas, 1995). The following ethical considerations should be considered before entering into a supervisory experience. 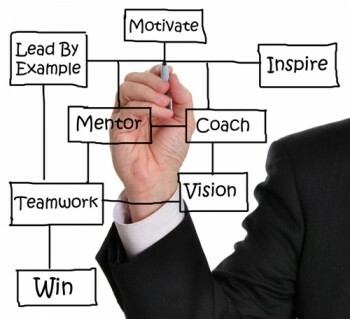 Given the importance of the supervisory experience, supervisors must develop and sustain their knowledge and skills to execute their duties competently (Standard 2.03, APA, 2010). Supervisory competence necessarily includes expertise in supervision, in the areas of practice supervised and in professional ethics. Postgraduate training, regular review of professional literature and consultation with colleagues are good strategies for strengthening and refining competence. A corollary responsibility involves attention to the competence of supervisees. To protect client welfare, supervisors must accurately assess supervisees’ evolving skills and ensure that they can effectively manage assigned cases with the supervision available to them (Standard 2.05, APA, 2010). Another aspect of supervisors’ competence involves teaching ethical practice and monitoring supervisee compliance. Beyond the abstraction of graduate ethics courses, practica and internships provide clinical contexts in which the ethical nuances and complexities of practice emerge. (Handelsman, Gottlieb, and Knapp, 2005). Supervisors must identify and capitalize on teachable moments to help supervisees understand and apply ethical precepts. The potential for misunderstanding and misapplication by novice professionals is significant (Thomas, 2010), but experienced professionals may also be vulnerable to ethical missteps. For example, latter-career ethical errors may arise from mismanaged countertransference, lack of knowledge about evolving ethical standards, personal problems compromising objectivity and effectiveness or other factors. Fulfilling supervisory duties requires substantive oversight of supervisees’ clinical work. Focusing on supervisees’ self-reporting and on their selected work samples is useful but insufficient. Supervisees may withhold pertinent information from supervisors for various reasons (Mehr, Ladany and Caskie, 2010/2015). Therefore, supervisors are advised to employ supplementary monitoring methods, such as reading reports and other records, reviewing recordings of clinical work, surveying client satisfaction, seeking feedback from other sources and conducting live observation. Information gleaned through such activities assists supervisors in meeting their obligation to provide timely specific evaluative feedback to supervisees about their work performance (Standard 7.06, APA, 2010). Another task of supervision is to delineate clearly the types of cases, clinical events and circumstances that supervisees are expected to discuss with supervisors (Thomas, 2007). Examples include emergency situations, allegations of unethical conduct, contact with clients outside professional settings and countertransference or strong feelings toward clients (such as anger, pity, sexual feelings). Educating supervisees about critical topics for supervisory discussion and probing for such content can help supervisees identify or avoid ethical pitfalls, make course corrections and mitigate or repair harm when errors occur. Incorporating these strategies necessitates obtaining informed consent from both supervisees (Standard 3.10, 7.06 a, APA, 2010) and their clients (Standard 10.01c, APA, 2010). Ethical Standards (APA, 2010) stipulate that supervisees be informed about what is expected, how and when they will be evaluated, the limitations of confidentiality in supervision, complaint procedures and other factors affecting their participation (Thomas, 2010). Supervision contracts can convey such information and document supervisees’ informed consent (Thomas, 2007).Clients must be informed about trainees’ status as learners (Standards 4.02; 10.01(c), APA, 2010). Carefully documented, these steps serve not only as an effective means of modeling ethical practice but also as a risk management strategy for supervisors and supervisees. Supervisors seeking to ensure their own and supervisees’ ethical practice will find guidance from several sources. The APA Ethical Principles of Psychologists and Code of Conduct (2010) includes ethical requirements applicable to supervisors. More detailed guidance recently has become available in Guidelines for Clinical Supervision in Health Service Psychology (APA, 2014). These aspirational guidelines offer recommendations related to supervisor and supervisee competence, the supervisory relationship, professionalism, supervisee evaluation and legal and ethical considerations. Finally, as the professional literature more comprehensively addresses supervision issues, supervisors have increasing resources to help them develop and maintain ethical supervisory practice. This course is presented in two parts. 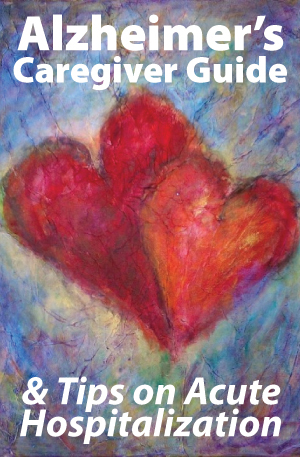 Part 1 offers strategies for managing the everyday challenges of caring for a person with Alzheimer’s disease, a difficult task that can quickly become overwhelming. Research has shown that caregivers themselves often are at increased risk for depression and illness. 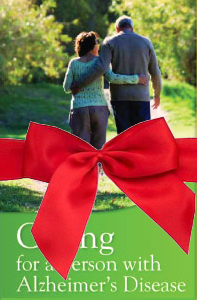 Each day brings new challenges as the caregiver copes with changing levels of ability and new patterns of behavior. Many caregivers have found it helpful to use the strategies described in this course for dealing with difficult behaviors and stressful situations. Part 2 includes tips on acute hospitalization, which presents a new environment filled with strange sights, odors and sounds, changes in daily routines, along with new medications and tests. This section is intended to help professionals and family members meet the needs of hospitalized Alzheimer’s patients by offering facts about Alzheimer’s disease, communication tips, personal care techniques, and suggestions for working with behaviors and environmental factors in both the ER and in the hospital room. This online course provides instant access to the course materials (PDF download) and CE test. Successful completion of the online CE test (80% required to pass, 3 chances to take) and course evaluation are required to earn a certificate of completion. You can print the test (download test from My Courses tab of your account after purchasing) to mark your answers on it while reading the course document. Then submit online when ready to receive credit. Professional Development Resources is approved by the American Psychological Association (APA) to sponsor continuing education for psychologists; the National Board of Certified Counselors (NBCC ACEP #5590); the Association of Social Work Boards (ASWB Provider #1046, ACE Program); the American Occupational Therapy Association (AOTA Provider #3159); the Commission on Dietetic Registration (CDR Provider #PR001); the California Board of Behavioral Sciences (#PCE1625); the Florida Boards of Social Work, Mental Health Counseling and Marriage and Family Therapy (#BAP346), Psychology & School Psychology (#50-1635), Dietetics & Nutrition (#50-1635), and Occupational Therapy Practice (#34); the Ohio Counselor, Social Worker & MFT Board (#RCST100501); the South Carolina Board of Professional Counselors & MFTs (#193); and the Texas Board of Examiners of Marriage & Family Therapists (#114) and State Board of Social Worker Examiners (#5678). 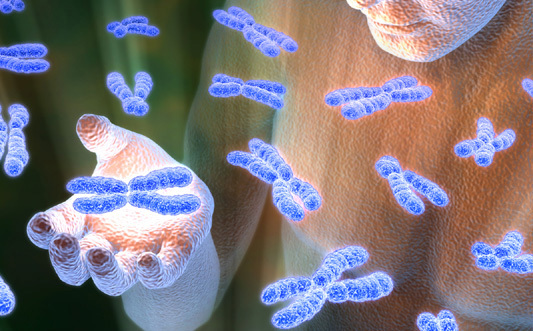 An international group of researchers has identified 11 new genes that offer important new insights into the disease pathways involved in Alzheimer’s disease. The highly collaborative effort involved scanning the DNA of over 74,000 volunteers—the largest genetic analysis yet conducted in Alzheimer’s research—to discover new genetic risk factors linked to late-onset Alzheimer’s disease, the most common form of the disorder. By confirming or suggesting new processes that may influence Alzheimer’s disease development—such as inflammation and synaptic function—the findings point to possible targets for the development of drugs aimed directly at prevention or delaying disease progression. Supported in part by the National Institute on Aging (NIA) and other components of the National Institutes of Health, the International Genomic Alzheimer’s Project (IGAP) reported its findings online in Nature Genetics on Oct. 27, 2013. IGAP is comprised of four consortia in the United States and Europe which have been working together since 2011 on genome-wide association studies (GWAS) involving thousands of DNA samples and shared datasets. GWAS are aimed at detecting the subtle gene variants involved in Alzheimer’s and defining how the molecular mechanisms influence disease onset and progression. The search for late-onset Alzheimer’s risk factor genes had taken considerable time, until the development of GWAS and other techniques. Until 2009, only one gene variant, Apolipoprotein E-e4 (APOE-e4), had been identified as a known risk factor. Since then, prior to today’s discovery, the list of known gene risk factors had grown to include other players—PICALM, CLU, CR1, BIN1, MS4A, CD2AP, EPHA1, ABCA7, SORL1 and TREM2. IGAP’s discovery of 11 new genes strengthens evidence about the involvement of certain pathways in the disease, such as the role of the SORL1 gene in the abnormal accumulation of amyloid protein in the brain, a hallmark of Alzheimer’s disease. It also offers new gene risk factors that may influence several cell functions, to include the ability of microglial cells to respond to inflammation. The study also brought to light another 13 variants that merit further analysis. Schellenberg heads the Alzheimer’s Disease Genetics Consortium (ADGC), one of the four founding partners of IGAP. The ADGC is a collaborative body established and funded by the NIA with the goal of identifying genetic variants associated with risk for Alzheimer’s. Schellenberg noted that the study was made possible by the research infrastructures established and supported by the NIA over many years, including 29 Alzheimer’s Disease Centers, the National Alzheimer’s Coordinating Center, the NIA Genetics of Alzheimer’s Disease Data Storage Site, the Late-onset Alzheimer’s Disease Family Study, and the National Cell Repository for Alzheimer’s Disease. These endeavors collect, store and make available to qualified researchers DNA samples, datasets containing biomedical and demographic information about participants, and genetic analysis data. The other three founding partners of IGAP are: The Cohorts for Heart and Aging Research in Genomic Epidemiology (CHARGE) led by Sudha Seshadri at Boston University and supported in part by NIH (including NIH-supported databases from the AGES-Reykjavik Study and the Atherosclerosis Risk in Communities Study); the European Alzheimer’s Disease Initiative (EADI) led by Philippe Amouyel of Lille University, France; and Genetic and Environmental Research in Alzheimer’s Disease (GERAD) led by Julie Williams of Cardiff University, Wales. The efforts were also supported by the Alzheimer’s Association and an extensive number of international governmental, private, and public research groups. Research goals under the U.S. National Plan to Address Alzheimer’s Disease call for intensified exploration of the genetic underpinnings of the disease, with the goal of effectively treating Alzheimer’s and related disorders by 2025. The 2011 National Alzheimer’s Project Act (NAPA) calls for a stepped up national effort and coordination on research, care, and services for Alzheimer’s and related dementias. The law mandated that the Department of Health and Human Services establish the national plan. For more on research milestones and progress under the Plan, visit http://aspe.hhs.gov/daltcp/napa/milestones/index.shtml. Professional Development Resources is approved by the American Psychological Association (APA) to sponsor continuing education for psychologists; the National Board of Certified Counselors (NBCC ACEP #5590); the Association of Social Work Boards (ASWB Provider #1046, ACE Program); the American Occupational Therapy Association (AOTA Provider #3159); the Commission on Dietetic Registration (CDR Provider #PR001); the California Board of Behavioral Sciences (#PCE1625); the Florida Boards of Social Work, Mental Health Counseling and Marriage and Family Therapy (#BAP346), Psychology & School Psychology (#50-1635), Dietetics & Nutrition (#50-1635), and Occupational Therapy Practice (#34); the Illinois DPR for Social Work (#159-00531); the Ohio Counselor, Social Worker & MFT Board (#RCST100501); the South Carolina Board of Professional Counselors & MFTs (#193); and the Texas Board of Examiners of Marriage & Family Therapists (#114) and State Board of Social Worker Examiners (#5678). Alzheimer’s Disease Progress Report: Intensifying the Research Effort is a new 3-hour online continuing education (CE/CEU) course that reviews basic mechanisms and risk factors of AD and details recent research findings. Are you caring for someone with Alzheimer’s disease? Here’s what you should know. 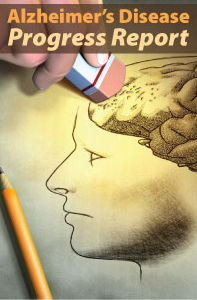 It is common knowledge that Alzheimer’s disease affects a person’s memory, cognition and ability to reason. People with Alzheimer’s disease can however also become listless, agitated, stubborn, depressed, anxious and even violent. Furthermore, they may suffer from hallucinations – experienced as pleasant and/or frightening. During the final stages of the disease, Alzheimer’s patients need full-time care and supervision, as they aren’t able to perform even relatively simple tasks, such as taking a bath, dressing, shopping, cooking or using the phone. Are you caring for someone with Alzheimer’s disease? The tips below will help you with what can be a challenging journey. Just remember that each person with Alzheimer’s is as unique as a snowflake – which means that the tips given here may not work for everyone. If the person becomes angry or present with combative behaviour, give them space by leaving the room. Only return when they have calmed down. Don’t try to argue. People with Alzheimer’s disease have lost their ability to reason. Be aware that strange behaviour could be their way of telling you, the carer, that something is wrong. The person might suddenly shout, hit something, swear, cry or laugh out loudly. Try to work out what is wrong, respond to possible emotions they’re feeling at the time of the incident, and then try to distract them. If you can determine what triggers these reactions, you can try to prevent it or keep the person calm when the trigger occurs. This can be anything – from a hallucination to being thirsty or wanting to go to the toilet. 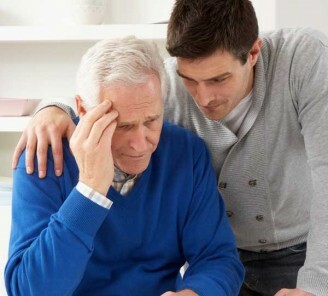 People with Alzheimer’s disease often get agitated because they struggle to complete simple tasks. When you show or tell them how to do something, it’s important that you relay the steps one by one, allowing enough time between each step for the person to absorb the information. Be patient! Try to find a solution to let them do so safely, for example allow then to wander into a secure garden. If the person is determined to leave, don’t confront them, as this could cause extreme anxiety, which may result in aggression. Rather accompany them for a short way, then divert their attention so you can both return. Make sure the person carries some form of identification such as a MedicAlert bracelet, or a card with a name and contact details. Attach a little bell to outside doors to alert you when they’re opened. Tell your neighbours about the situation and ask them to give you a call if/when they spot the patient outside. Lock the door, if absolutely necessary, but never lock a person with dementia alone in the home. The decision must be taken in the best interest of the patient. A too restricted environment causes boredom with resulting frustration that may lead to aggressive outbursts. Encourage friends and family to come and visit. Alzheimer’s patients often walk away in the hope of getting to see their loved ones. These visits also help to allay boredom. Professional Development Resources is approved by the American Psychological Association (APA) to sponsor continuing education for psychologists; by the National Board of Certified Counselors (NBCC) to offer home study continuing education for NCCs (Provider #5590); by the Association of Social Work Boards (ASWB Provider #1046, ACE Program); by the American Occupational Therapy Association (AOTA Provider #3159); by the American Speech-Language-Hearing Association (ASHA Provider #AAUM); by the Commission on Dietetic Registration (CDR Provider #PR001); by the California Board of Behavioral Sciences (#PCE1625); by the Florida Boards of Social Work, Mental Health Counseling and Marriage and Family Therapy (#BAP346), Psychology & School Psychology (#50-1635), Dietetics & Nutrition (#50-1635), and Occupational Therapy Practice (#34); by the Illinois DPR for Social Work (#159-00531); by the Ohio Counselor, Social Worker & MFT Board (#RCST100501); by the South Carolina Board of Professional Counselors & MFTs (#193); and by the Texas Board of Examiners of Marriage & Family Therapists (#114) and State Board of Social Worker Examiners (#5678). Among older adults, anemia is associated with an increased risk of developing dementia, a new study shows. “We found that if there was anemia at baseline, the risk of dementia was increased by about 60%. This was slightly reduced after adjusting for other factors. But there was still a 40-50% increase in risk which was still quite significant. 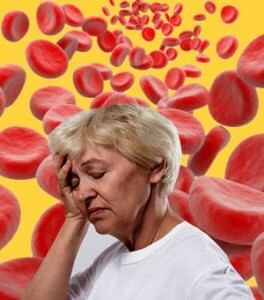 Anemia is of course a marker of general frailty, which will also correlate with dementia but we tried to control for this,” senior author, Kristine Yaffe, MD, University of California San Francisco, told Medscape Medical News. She acknowledged that this is not enough evidence to say that correcting anemia will reduce the risk for dementia. “I am not suggesting that these results should prompt people to rush out and start taking large doses of iron. If they want to rush out and do anything they should make sure they have an annual check up and get their hemoglobin measured, and if it is low get it corrected, under medical supervision,” Dr. Yaffe added. Alzheimer’s Disease – Overview is a 1-hour online CEU course that provides an overview of the prevalence, causes, symptoms, diagnosis, treatment, and progression of Alzheimer’s disease, as well as information about caregiving and caregiver support. Caring for a Person with Alzheimer’s Disease is a 3-hour online CEU course that discusses practical issues concerning caring for someone with Alzheimer’s disease who has mild-to-moderate impairment, including a description of common challenges and coping strategies. Alzheimer’s – Unraveling the Mystery is a 3-hour online CEU course that describes the risk factors for Alzheimer’s disease, effective steps for prevention, strategies for diagnosing and treating Alzheimer’s disease, and the search for new treatments. 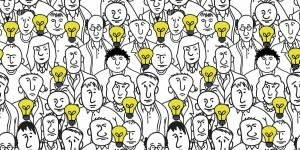 The number of people with the brain disease could nearly triple during the next three decades. A new government-funded report confirms what advocacy groups have been warning for years: The number of people in the USA with Alzheimer’s disease will almost triple by 2050, straining the health care system and taxing the health of caregivers. Numbers are projected to rise from about 5 million now to 13.8 million. The disease robs people of their memory, erases personality and makes even routine tasks like dressing and bathing impossible. The study is published Wednesday in the journal Neurology. Researchers analyzed information from 10,802 black and white Chicago residents, ages 65 and older, from 1993 to 2011. Participants were interviewed and assessed for dementia every three years. Age, race and level of education were factored into the research. The projections are similar to a study done 10 years ago but include new data from the 2010 Census about death rates and future population rates. An upcoming study will examine the effect on health care costs, which are expected to exceed $2 trillion, according to the Alzheimer’s Association. The three-fold increase is largely the result of the aging Baby Boomers, born between 1946 and 1964. The main risk for Alzheimer’s is age. The population of people 65 and older is expected to more than double from 40.3 million to 88.5 million, according to the 2010 Census. Alzheimer’s is the only disease among the top six killers in the USA for which there is no prevention, cure or treatment. The government boosted funding last year and made prevention a 2025 goal. Funding for the disease was $606 million — exceeding $500 million for the first time in 2012. But it trails other diseases: HIV at $3 billion and cancer at $6 billion. An additional $100 million for Alzheimer’s research for 2013 is awaiting approval, the Alzheimer’s Association says. Former president Ronald Reagan, who left office in 1989, disclosed in 1994 that he had Alzheimer’s. Others include Robert Sargent Shriver, actress Rita Hayworth and singer Glen Campbell. In 2011, the University of Tennessee’s legendary women’s basketball coach Pat Summitt revealed she has Alzheimer’s. The study was financed by the National Institute on Aging, National Institutes of Health and the Alzheimer’s Association. “There is great urgency for meaningful, timely and comprehensive action,” says Maria Carrillo, vice president of medical and scientific relations for the Alzheimer’s Association. Professional Development Resources is approved by the American Psychological Association (APA) to sponsor continuing education for psychologists; by the National Board of Certified Counselors (NBCC) to offer home study continuing education for NCCs (Provider #5590); by the Association of Social Work Boards (ASWB Provider #1046, ACE Program); by the National Association of Alcoholism & Drug Abuse Counselors (NAADAC Provider #000279); by the American Occupational Therapy Association (AOTA Provider #3159); by the American Speech-Language-Hearing Association (ASHA Provider #AAUM); by the Commission on Dietetic Registration (CDR Provider #PR001); and by various state licensing boards. Click here to view all accreditations. 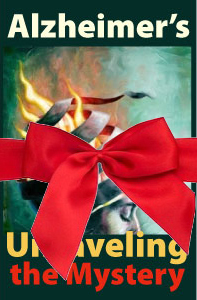 50% Off Today Only: $18!